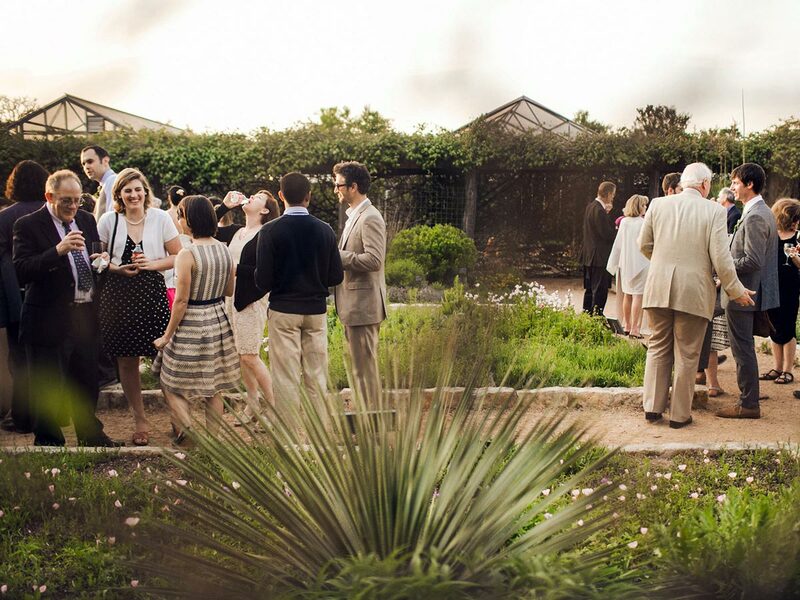 The Lady Bird Johnson Wildflower Center, conveniently nestled in southwest Austin, captures the inspiring natural beauty of the Hill Country and provides the perfect location for your event. The Center, which was recently named the official botanic garden and arboretum of Texas, boasts uniquely Texan architecture and native landscapes and will give your guests or attendees an authentic Austin experience. Flexible spaces and expansive grounds allow the Center to accommodate gatherings from five to 500. Make memories to last a lifetime at the Wildflower Center, a naturally beautiful setting for your special day. The Center offers a variety of beautiful indoor and outdoor spaces perfect for up to 200 guests. Create a wedding that is perfectly you! Every business is unique, but there is one thing they all have in common: the desire to make a lasting impression. With our beautiful and versatile venue, we can assist you with a variety of spaces for meetings, trainings, retreats and dinners. Events bring people together to celebrate life’s special moments and share meaningful experiences. The Wildflower Center offers a backdrop of native Texas plants and inspired architecture for your events. We are able to accommodate all types of occasions from fundraisers to life celebrations and baby showers.